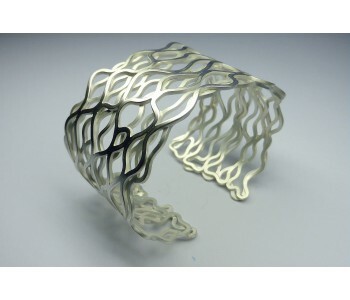 This striking silver bracelet consists of a double layer of fine wavy lines. The piece has a fresh white look with a matte gloss finish. 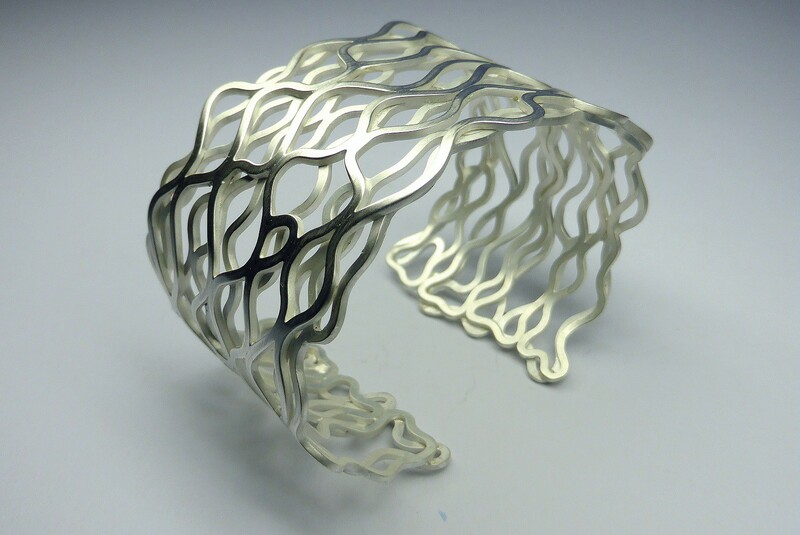 The design looks fragile, but is actually very sturdy, making the bracelet perfect as an everyday wearable. Yolanda Döpp designs and creates timeless silver jewellery in her studio in Amsterdam. 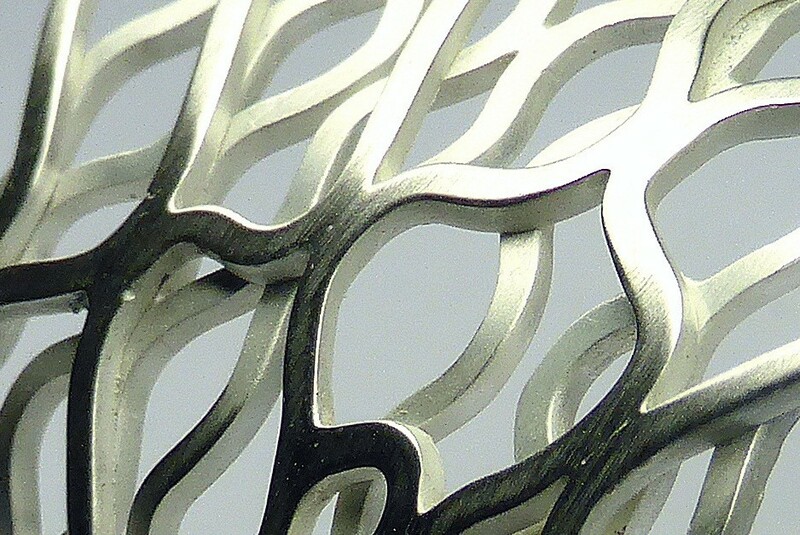 Each piece is refined to the most intricate detail and forms a harmonious whole. In addition, each piece is unique because it is handmade. This silver bracelet with fragile look combines well with other styles. The design is timeless and stands out for its shiny, playfully mingling wavy lines. The piece fits nicely around the wrist as silver is a somewhat flexible material. The bracelet has a fresh appearance due to its matte glossy finish and playful design elements. At the same time, the bracelet has a feminine elegance, making it a versatile and timeless piece. The bracelet has no lock, but clamps around your wrist. Are you looking for bracelets that stand out? This one is special because of the fine workmanship and the distinctive lines. It is both fun for yourself or as a gift. Of course, we pack the bracelet in a nice box.